This Halloween box is filled with a mixture of a few of our most popular treats and our exclusive handmade Halloween Dog Treats. No trick here, just lots of dog treats! 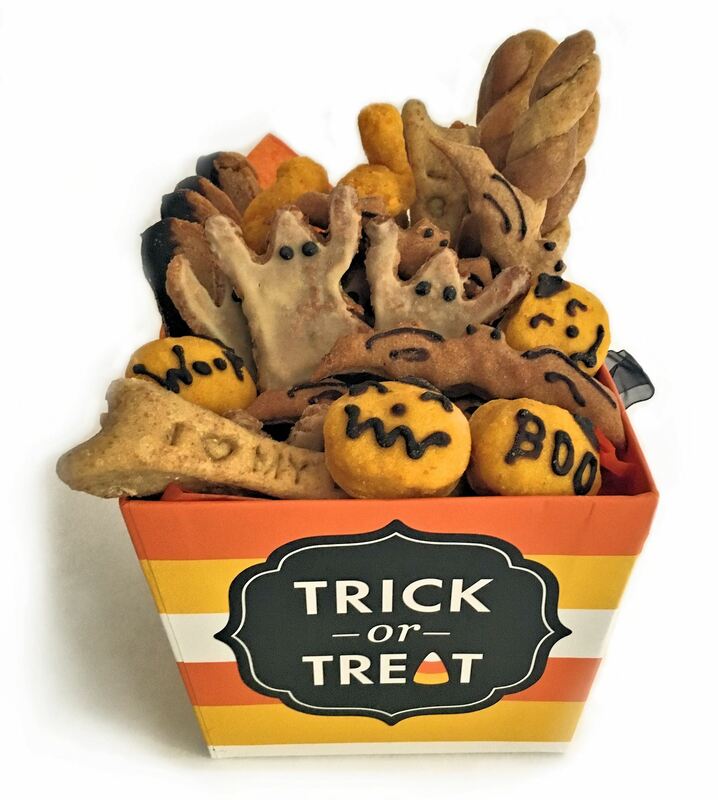 This Halloween box is filled with a mixture of a few of our most popular treats and our exclusive handmade Halloween Dog Treats: Peanut Butter Biscotti dipped in Carob, Beef & Chicken Twists, Carrot Twists, Chicken Bones, Beefy Bats, Very Veggie Pumpkins, and Apple Oatmeal Ghosts These are sure to please any pooch! Hearty, nutritious, crunchy bars, containing fresh apples, carrots, oats and with touch of Cinnamon. 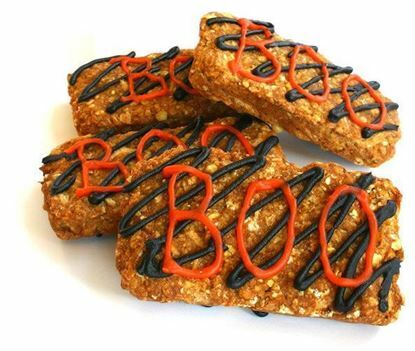 Topped with carob and honey glaze Halloween greeting, for that special fury trick or treater!